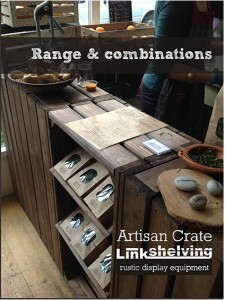 Linkshelving launched the Artisan Crates range in 2010 to capture the raw charm of rustic farmhouse crates in a range of well-crafted, on trend retail display equipment. 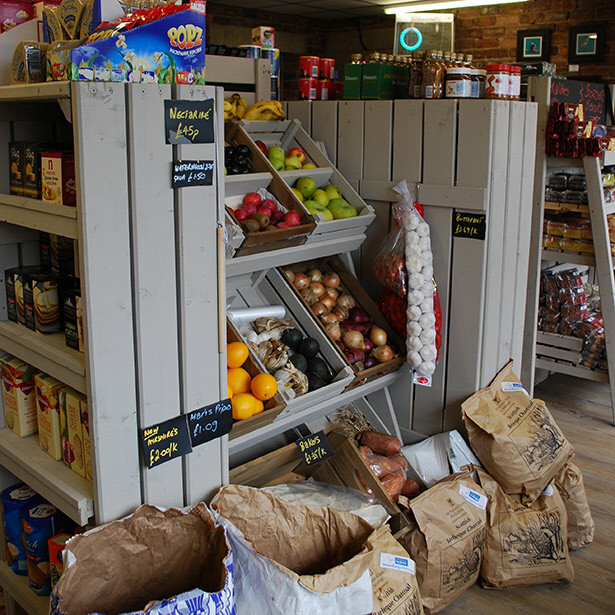 We started in the Farm Shop and Deli markets, but as it gained in popularity our equipment expanded into everything from small post offices to large department stores. 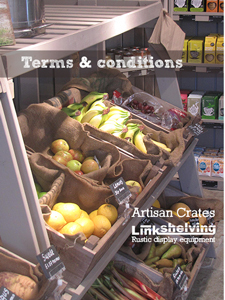 Artisan Crates’ capabilities are so diverse that our clients now include retailers of food, wine and beer, books, clothing and gifts as well as village stores, garden centres, cook shops, museums and zoos. ‘Retailers have been using crates for many years. 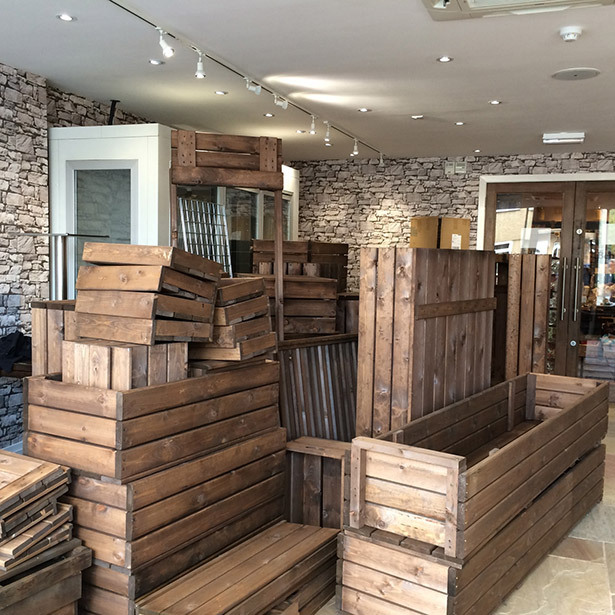 We’ve simply filled a gap in the market somewhere between a saw mill and top end joiners to satisfy the demand for a flexible range of rustic display equipment’. We’ve prepared a number of downloads tailored to specific requirements. 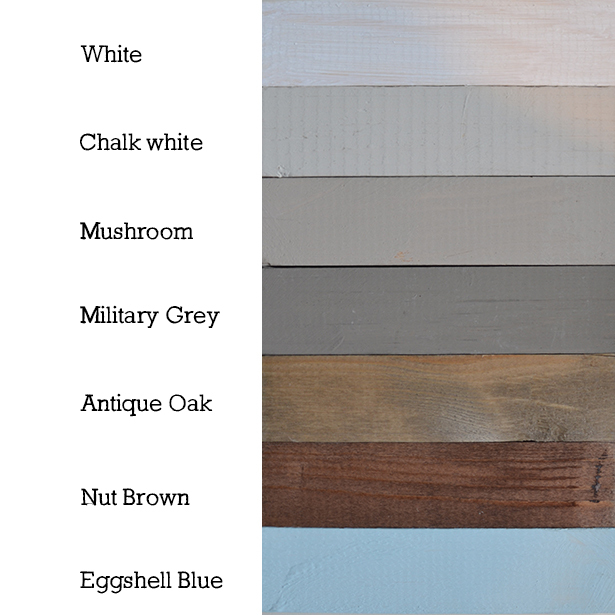 Our products are currently avaialable in two stain finishes – Antique Oak and Nut Brown – and four paint finishes. (We have a new paint finish, Military Grey, coming soon). All are water-based and specific to Linkshelving. The photograph illustrates the different colours for comparison, but is only an approximation, and we would advise you to look through our shop galleries to get an idea of how they look in use. Remember that you don’t have to order everything in the same colour. Striking displays can be created using units in different colours either as accents or in blocks. Prices & quotations and delivery charges. For a price list or quotation please phone us on 0207 9785793. Our prices are ex works. Delivery charges are calculated by your post code, number of pallets and service required. Standard delivery is up to three days. Our products are pre-assembled, tightly wrapped and delivered on pallets. As you can imagine, this can result in bulky deliveries and your help will be required to provide assistance with unloading. They are delivered on a curtain sided lorry. We can arrange a tail lift & pallet truck. We must be advised on any delivery restrictions in advance. To keep our delivery charges to a minimum we fully load each pallet. Occasionally this may result in minor scuff marks, but we’ll be happy to supply touch up paint. If you’re a little daunted at first sight, just think of it as a big jig-saw puzzle. The key is to identify each type of crate before building your combination. We recommend that units are fixed together with woodscrews and tied into the wall. Our crates are robust and built to last. They are a natural product and you can expect knots and the odd split in timber. There is a 5mm tolerance in the crates dimensions. For the first three months until the timber has settled down you may experience some sap. This should be wiped away with a warm cloth and if necessary repaired with touch up paint that we will be happy to supply. Payment is required prior to dispatch and the final quotation must be checked and approved before the order is processed. 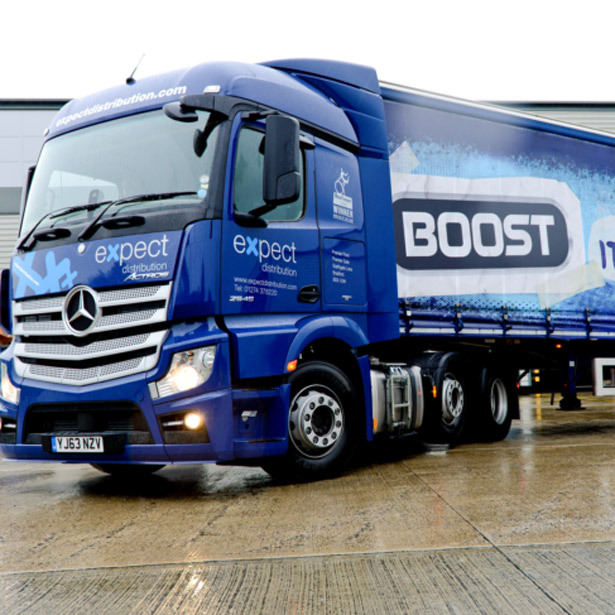 The customer accepts additional charges if the delivery is refused through failure to make us aware of delivery restrictions, or not being available to unload the lorry. The customer must notify us of any damages within twenty four hours of delivery. The customer accepts that minor surface damage may occur in transport, in which case we will send touch-up paint. 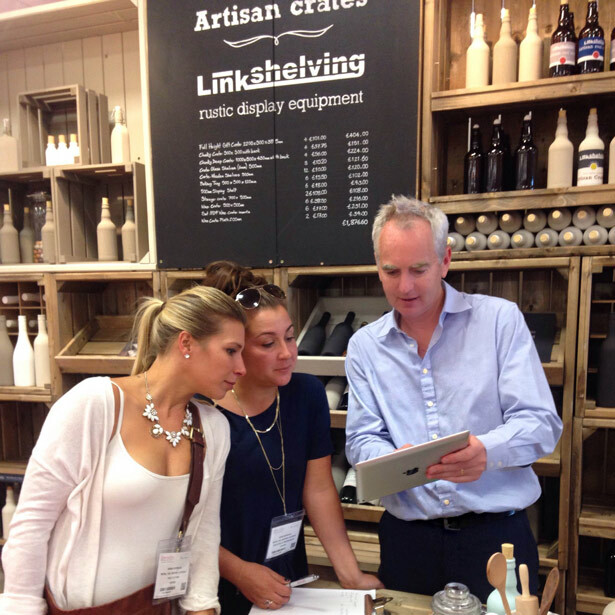 The customer accepts that an integral part of rustic display equipment is knots, sap and splinters. You are free to access our website, but not to collect, store or redistribute any of the copy or images for commercial use. Linkshelving reserves the right to make changes to its website, policies and Terms and Conditions at its absolute discretion. Title of detail will remain with Linkshelving. A full copy of our terms & conditions is available as a download.